Premium fiber cement siding is a great investment for homes in Plano and the greater Dallas area, as it is incredibly durable and long lasting. 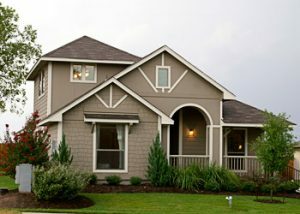 For this style siding, turn to the specialists at Quint-Pro Siding & Windows. We offer siding that is five times thicker than vinyl siding products and offers the beauty of authentic wood grain without requiring the upkeep associated with natural wood products. Additionally, unlike many other types of siding, this style cladding is highly resistant to the elements. For example, your new fiber cement siding will stand tough against wind, rain, hail, and extreme temperatures. Furthermore, it is noncombustible, providing you with peace of mind that your home’s exterior won’t serve as fuel to a fire or ignite when exposed to a direct flame. That’s not all, though. Your new siding will also be finished with ColorPlus® Technology that ensures superior color consistency and prevents fading. In addition to the top-quality siding we offer, we provide professional installation services. In fact, our services are unmatched in the industry thanks to our commitment to using the best parts and materials available. Furthermore, we complete meticulous installations, ensuring all details are taken care of. Because of these factors, you can feel confident that your new fiber cement siding will look and function as it’s intended to well into the future. And, because we stand behind the work we complete, we offer a one-year warranty on all labor in addition to passing along the outstanding manufacturer warranty. For more information about the fiber cement siding we offer to homeowners throughout the Plano and greater Dallas area, contact Quint-Pro Siding & Windows today. We’ll gladly answer any questions you have and schedule you for an in-home consultation.